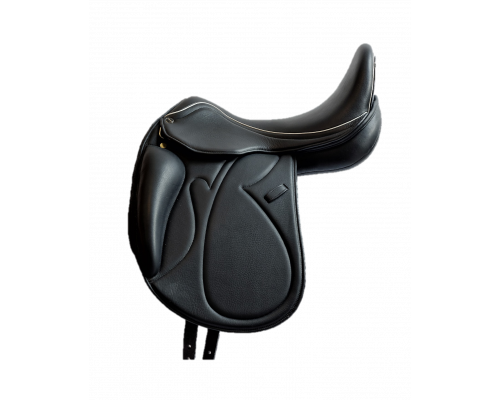 Aiver Luxe Saddle is revolutionary in its design yet embraces all the traditional qualities you’d expect from a saddle of this calibre. 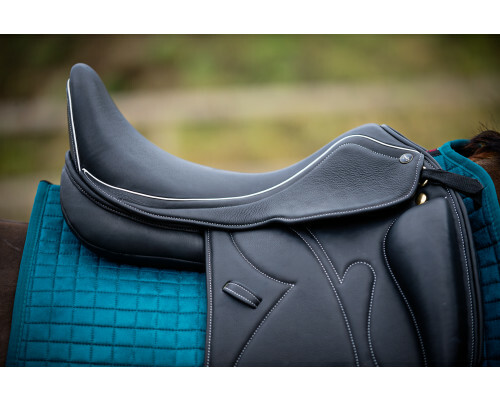 Aiver Luxe Saddle is for you if you want a light, balanced ride. Aiver Luxe truly is a perfect example of innovation and tradition working in perfect harmony together. 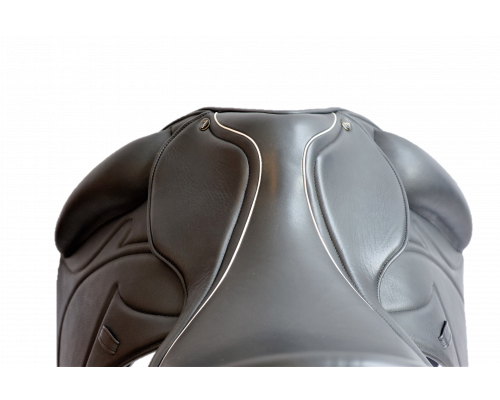 Made to the highest standards and boasting the latest technological advances, you can adjust the width of this saddle in minutes. 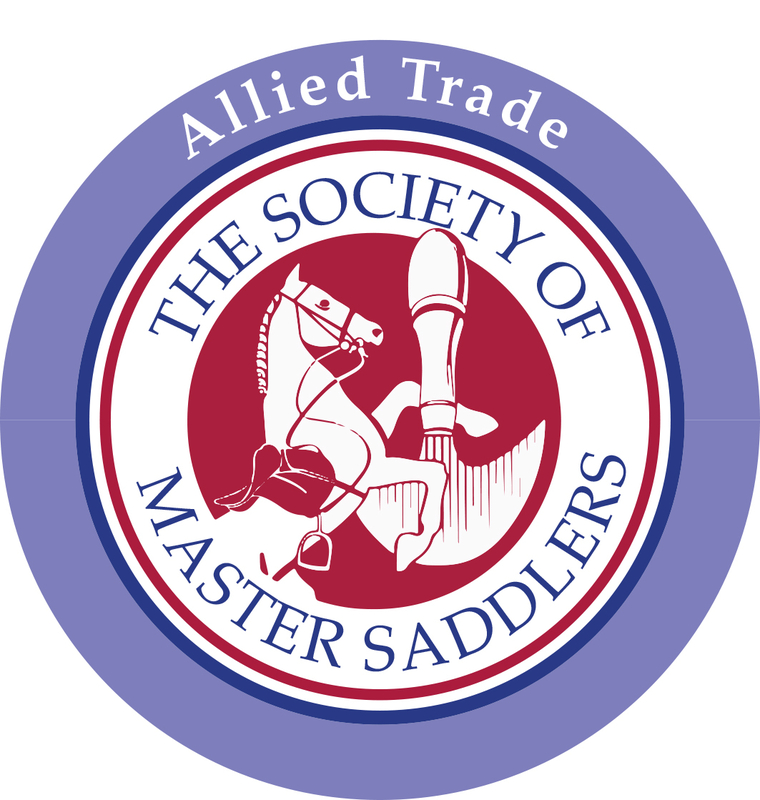 Adjusting the width of your saddle means achieve complete comfort for you and your horse. Made from the finest English calf leather, the finish of this saddle is second to none. But it’s not only good looking. 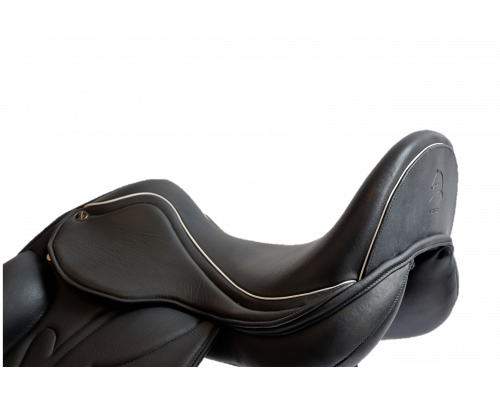 The Aiver Luxe Saddle seat design promises security and improves confidence. 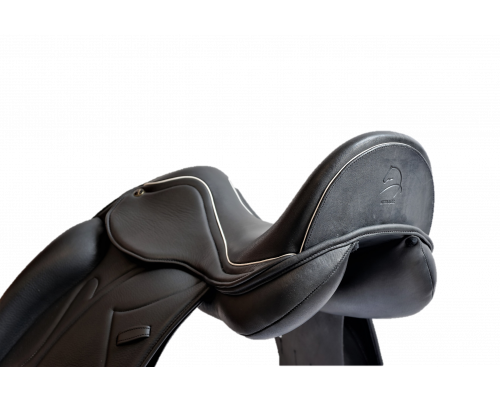 The unique saddle construction supports the rider’s upper body, stabilising the seat bones and preventing unnecessary movement. 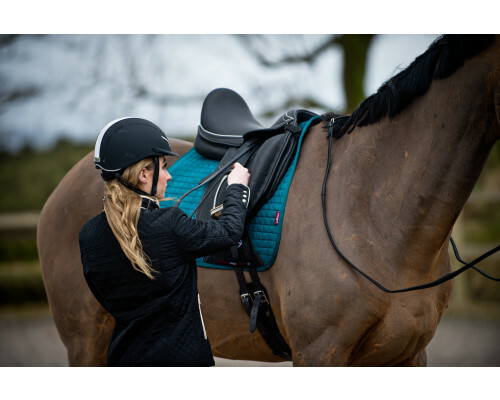 It also reduces concussion in the lower back giving the rider a more comfortable seat whilst providing the perfect surface for eve the most sensitive horses. In our trees we have more open arch to give good clearance on the horse’s withers. The points are specifically designed so as not to impede the horse’s shoulder movements. The angle of the side bars allows for a narrower twist, enabling the rider to achieve a closer leg position to the horse. The bars are also anatomically constructed to follow the contours of the horses back. 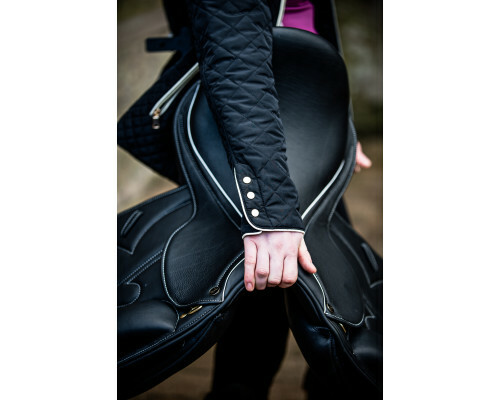 All in all, the Aiver Luxe Saddle is the ultimate in saddle luxury for horse and rider. * Adjust the width for a perfect fit using the quick change saddle tree mechanism. * Shorter shoulder/gullet irons allow for greater freedom and mobility of the front legs and shoulder. * Innovative use of the finest fabrics means that weight and pressure are distributed evenly, providing optimum comfort for the horse and rider. 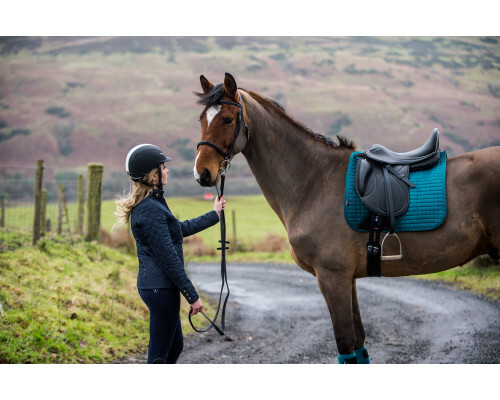 * Revolutionary two layer panels mean you don’t need to flock your panels as often as you would with a traditional saddle. Upper layer is traditional wool and bottom layer gel foam. 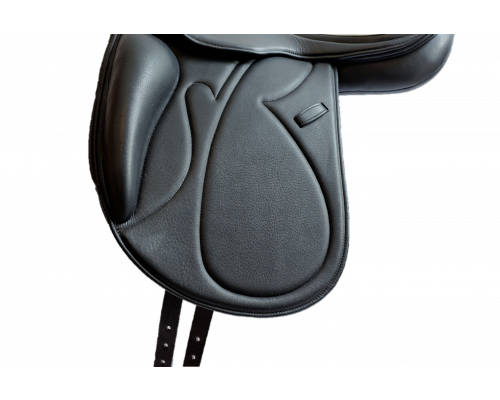 * Double Y-girthing system ensures that the saddle stays in place thanks to better anchoring. 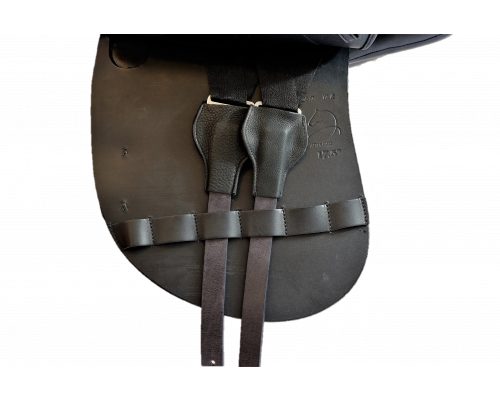 * Genius strap holders keep your girth securely in place. * Comes with 5-year mechanism and 5-year saddle tree warranty. Chosen by Olympic medallist and World Champion Andreas Helgstrand and the preferred option of many other professional riders, you too can make the same choices as these élite riders when you choose Aiver Luxe. * Our saddle tree is made in England from birch wood laminated veneers which can withstand over 1500kg of pressure and also offers some flexibility, as it moves with the biomechanic movement of the horse. * Two layer panels; wool and gel foam mattres. If you wish to have other sizes please contact us.